“Brandon is very kind, helpful, and courteous.” – Beyer’s Service Center of Saginaw, MI. “Jim is an excellent route person; prompt, reliable service is what you can expect.” – Tinney Automotive of Greenville, MI. SCOTT MASCHKE, RT 40: After graduating from Walsh College, Scott worked in sales and service in the food and asphalt industries. Scott joined Model in 2009. His favorite part of the job is the great people, not just at Model, but the people of my “Route Family.” “I have many great customers on my route that I look forward to seeing each week.” Scott enjoys golfing, hunting, and fishing, but most of his free time is spent with his wife, Mary, attending and cheering their daughters, Annika and Kenzie’s, many activities. Scott really looks forward to providing your company great service with a smile. “Scott takes the time to update us on products and uniforms. He has suggestions that have benefited our business and in the long run saved us money.” – Andersen Brothers of Blanchard, MI. 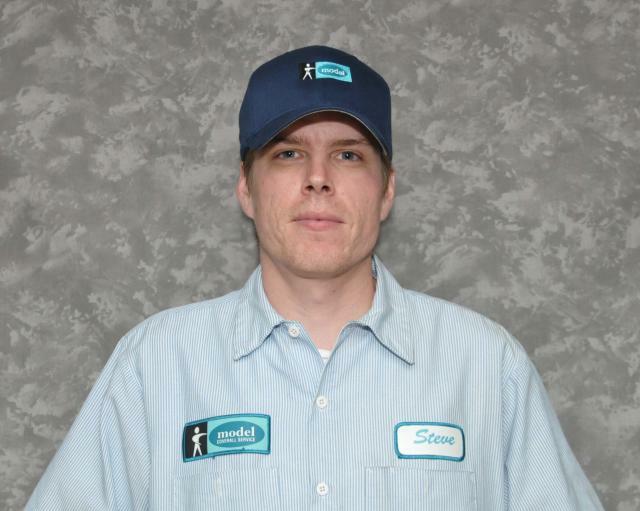 “Scott goes above and beyond to service our company. 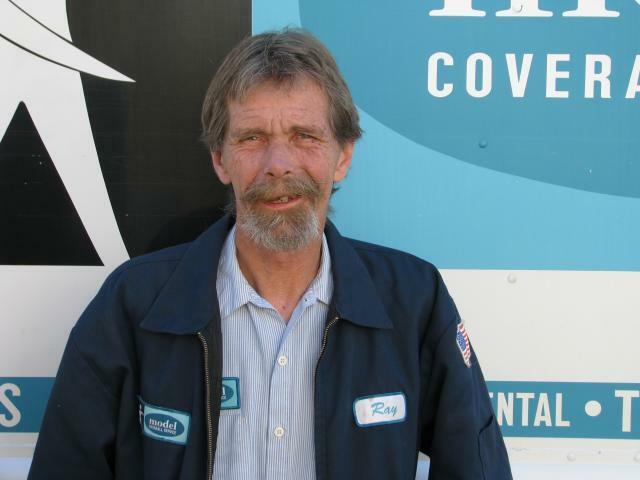 We look forward to seeing him each week.” – Kieff’s Roofing, Inc. of Stanton, MI. STEVE BRADLEY, RT 4: “I like working at Model because of the people. I meet new customers all the time and enjoy getting to know a lot about them. Plus, that helps me know how to best keep them satisfied. Customers tell me that my extra efforts really deliver extra value to our service. Also I like the hours. I work hard every day, but I’m home at night and on weekends to be with my small children.” Steve spent several years working as a hi-lo driver before coming to Model and prefers being out with customers. “I really feel like I am running my own business when I am servicing customers. I even deliver products after work if a customer really needs something right away.” Steve earned a Caribbean cruise from Model and “had great fun and really had a chance to relax.” Other than being proud of his hard work at Model, Steve is most proud of the birth of his two children. While he wishes for peace on earth and an early, wealthy retirement, Steve spends his free time watching football on TV and is a huge Lions fan. His favorite part of high school was being on the football team, and he continues to enjoy playing football and basketball. “Steve is friendly and knowledgeable. Model and Steve especially continue to provide excellent service.” – West Side Beer Distributing of Grand Rapids, MI.